My mum and I had a tradition on Friday evenings; we’d either watch true crime shows on Discovery Channel, or reruns of Highlander with the dashingly hot, Scottish immortal played by Adrian Paul. No really, look him up. Some of the episodes were rather dark, but the one we’d always go back to was the “Stone of Scone” episode. In it, Duncan MacLeod and his partner in crime Amanda plotted a scheme to steal this priceless relic of Scottish history from Westminster Abbey. The English had stolen it, and with it a part of Scottish sovereignty. Hilarity ensues, with the stone eventually being deposited on a misty Scottish moor, unbeknownst to the golfers playing nearby or the hoodwinked Abbey security guards. There are some conspiracy theorists who believe this really happened, and that the stone in Westminster was always just a convincing replica. I like to pretend this was true, too. It’s emblematic of so much Scottish identity since the Acts of Union in 1707. 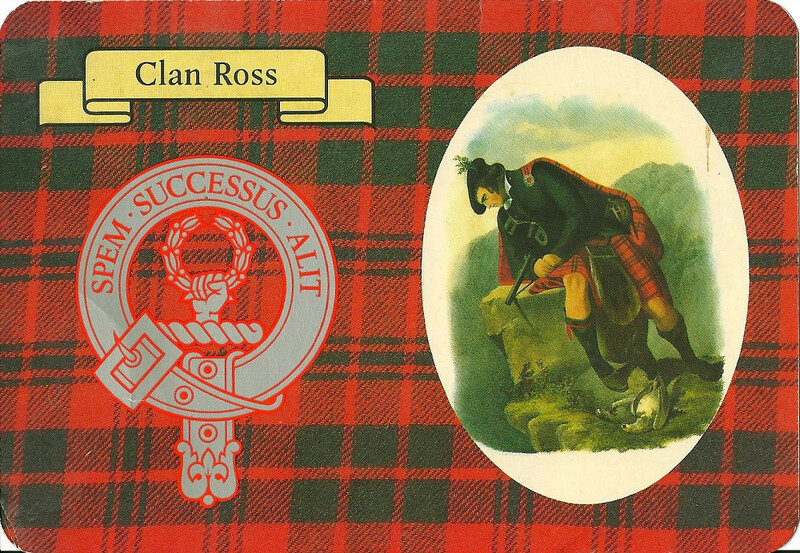 Much of my mum’s family hail from Clan Ross from Inverness in the Scottish Highlands. The featured image is of our clan’s tartan; pretty handsome, am I right? My grandfather has spent a great deal of time researching the family history, including creating a detailed family tree going back generations. I imagine many of us living in former British colonies can trace similar lineage. It amazes me such a tiny county with relatively few people could have such an impact on the world. Their romantic (and otherwise!) music, their scientists and engineers, the best breakfast food in the world… not even the Romans could conquer them! (An adage my grandfather loves, and Alton Brown quipped on an episode of Good Eats goes something like this. An Englishman poked fun at a Scot for his love of oats. We feed that to our horses, he cried! To which the Scot replied: that’s why in England you raise fine horses, and in Scotland we raise fine people). On the 18th of September, Scottish people will be voting on a referendum for independence from the United Kingdom. It's historic in a global context; the next part to fall away from the once globally reaching empire where the sun never set. It also brings some practical considerations. Will they model themselves on, say, the Irish Republic? Will they use the British Pound, their own Pound, or the Euro? For that matter, will they be a part of the Eurozone? What about businesses operating on both sides of Hadrian's Wall? Will they keep The Queen, or elect their own head of state? Will the English arrange to keep some of Scotland's vast natural resource reserves in the North Sea? Elsewhere, will this embolden those in Catalonia, or Kurdistan? What will happen to countries like Fiji, Australia or New Zealand that continue to wear colonial hand-me-downs on their flags? Whatever happens, I'll be watching closely, and channeling my mum and all our proud ancestors in saying yes :).